Freeze cookie dough several hours or until completely frozen. Quickly while dough is still frozen, place on cookie sheet. Bake 10 minutes. Remove from cookie sheet to cooling rack; cool 2 to 3 minutes. 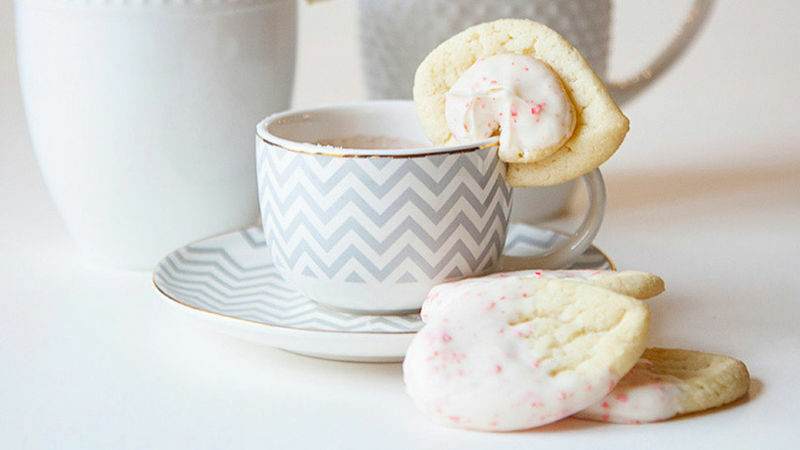 With small paring knife, cut small wedge from each cookie; place on mug to cool completely. You may need to carefully mold the cookies a bit to the mug. The smaller cookie also helps to balance the larger cookie. Once cookies are cool, place candy melts in double boiler over hot water; melt candy. 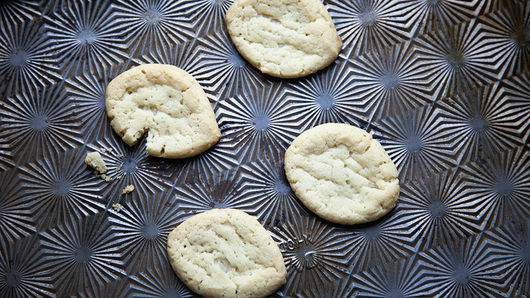 Carefully dip top of each smaller cookie into melted candy; place on parchment-lined cookie sheet. Refrigerate 10 minutes or until candy is set. Remove from refrigerator. Place paring knife in bowl of warm water; let knife warm up. Remove from water; dry off knife with towel. Use knife to remove any candy that has covered the little wedge cut out earlier. Place mug toppers on mugs; fill mugs with your favorite hot beverage. 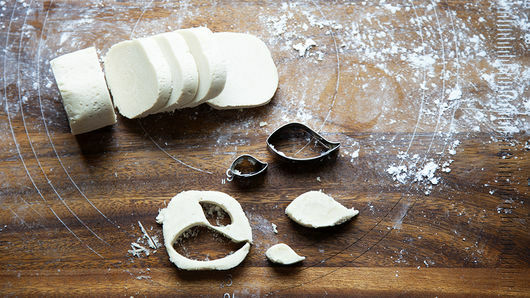 You’ll have quite a bit of leftover cookie dough after you‘ve cut out your shapes. Reshape the dough into a ball and roll it out. Using the same medium-size cutter, cut out extra cookies. Bake as directed on roll. Dip one side in melted candy to serve with your special hot drink. These cookie mug toppers can be made a day or two ahead and stored in an airtight container until ready to use.